Commercial finance can be taken out in many different forms. The most common, a commercial mortgage, is simply a loan secured on a property which isn’t your residence. Buy to let mortgages would fall under this category, however as buy to let mortgages are so common, they’ve earned their own place in the mortgage market. Commercial mortgages tend to be more niche compared to residential and buy to let mortgages, so let’s take a look at exactly what commercial mortgages are. It’s better to think of a commercial mortgage as a business mortgage, as a commercial mortgage is catered for individuals and companies to raise finance in order to purchase (or remortgage) business premises. The borrower may then give the business premises on a lease or run a business from the premises themselves. Business mortgages are available on residential property, as long as they’re part of commercial premises. For example, you would need a commercial mortgage on a shop that had residential flats above, that you may occupy yourself or rent out to tenants. The two differences are explained below, as one mortgage would be a commercial occupier mortgage and the other a commercial investment mortgage. Commercial finance is available in so many different variations that it’s best to talk to a mortgage advisor who is experienced in this field. It would be near enough impossible to outline every type of deal or scenario that would be suited to each commercial borrower. Remember, our expert mortgage advisors are available to answer any questions that you may have. This article is based on the assumption that your credit file is intact. If you do have adverse credit issues, read our article on commercial mortgages with bad credit here. Commercial Occupier mortgages are where the borrower intends to occupy the business premises themselves. There are different types of mortgages relating to occupier mortgages, with lenders looking at business plans for startups, or previous account history for already active businesses. Lenders will normally ask for two or maybe three years account history for existing businesses or projected accounts for business startups. Commercial investment mortgages are where the borrower intends to rent out the business premises in order to make a profit from the rental income received and any capital gains that they may experience. Lender rates on commercial investment mortgages are quite unique as they’ll normally assess each application on a case by case basis, determining the mortgage rate that’s on offer. Lenders will usually assess applications based on your investment experience, the amount of deposit you have and the type of business premises or business use the premises has. If there’s already a tenant in place, the lender will also assess the quality of the lease and leaseholder. This is why it’s advised to speak to a qualified mortgage advisor, as they’ll be able to speak to a wide range of lenders and niche financial companies to determine the very best commercial mortgage on offer. 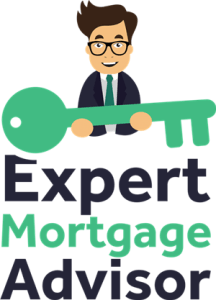 Expert mortgage advisors should also be able to ensure your application has strength before applying and can advise you on ways to strengthen your application if needed. Portfolio mortgages are popular with modern buy to let landlords who have a number of properties. This is because a buy to let portfolio mortgage is seen as a single account across the entire portfolio as opposed to individual accounts for every single property. For the portfolio landlord, this ensures only one mortgage, with one monthly payment, no matter how big the portfolio is. This can simplify things for landlords as they know exactly where their finances are in terms of income and expenditure. With a portfolio mortgage, you’re able to leverage any equity in your properties against further lending, in order to buy more properties and increase your portfolio. The advantage of this is that your equity could fund an entire deposit, which in effect would grow your portfolio without dipping into your personal funds. Auction finance is another term for a bridging loan or ‘short-term’ finance. As explained above, auction finance really comes in handy when speed is of the essence in getting a deal through to completion. Ensure you speak to an advisor to make sure you’re getting the best bridging loan and there aren’t any nasty surprises hidden in the loan, such as big charges and hidden fees. If you require development finance then you will certainly require a specialist development lender. Be sure not to just run in head first to the first lender you find, but to carefully plan your application beforehand as it could be the difference between being approved or being declined. Our expert mortgage advisors specialise in development finance and know exactly what specialist development lenders look for. Primarily, development finance lenders will look at the GDV (Gross Development Value) of the development in question. This will be the benchmark of what lenders will look at when assessing your application on how much they’re willing to lend. Generally, lenders won’t exceed 65% of the GDV and will only consider lending more, if the borrower already owns the land outright. Lenders will also consider other factors when assessing an application for this type of commercial finance. Lenders will assess the experience of the borrower, along with timelines and the proposed duration of the said development. This is why it’s paramount to speak to an expert mortgage advisor who has experience in this field. Whether you need to ask a simple question or require a full application, our advisors are always on hand to help. Learn more about development finance here. Mezzanine finance can be used where a developer needs to fill a financial gap. This may be because the lender hasn’t lent the maximum amount the developers applied for, or the developer may have underestimated costs, leaving the developer with a gap in finances. Mezzanine finance can then be used to fill financial gaps by assessing the borrower’s equity, the amount the main lender has approved and the outstanding financial gap. This is normally secured by an additional lender placing a second charge on the property in question, as the initial lender would have already secured the first charge. Mezzanine finance enables developers to remain in positive cash flow throughout the development, as funds can start to dry up pretty fast. Additional funds can also support further investments where cash reserves are depleted. A land mortgage is simply a mortgage taken out on a piece of land. If you require a mortgage on a piece of land, there are lenders that can offer you finance in this situation. This could be for a variety of uses, such as development, agricultural, equestrian and leisure. Although there are lenders that may offer finance without planning consent, it’s important to ensure that you have planning permission in place for the particular use of land, as this makes obtaining land finance a lot easier. Borrowers will generally require a deposit, however there are lenders that can offer 100% mortgages if there are other assets on which they can place security on. Lenders make assessments on the experience of the borrower, use of the land, purchase price and the deposit amount. As land mortgages are a specialist type of finance, our expert mortgage advisors can help. We have a panel of lenders who are happy to entertain land mortgages, as long as the application meets their criteria. Refurbishment finance is commonly used by landlords or developers to renovate properties that have become dilapidated. The refurbishment loan is actually provided at two stages of the renovation. Part of the finance is released before the property has been refurbished and the remainder of the loan is released post refurbishment, after an inspection by the lender has been carried out. Lenders assess the loan amount by considering the anticipated value of the property once it has been refurbished, along with the potential rental value. Lenders generally offer two types of refurbishment mortgages, a light refurbishment mortgage and a heavy refurbishment mortgage. A light refurbishment mortgage is generally where the property only requires cosmetic works. A heavy refurbishment mortgage is where structural work is needed as part of the renovation, as well as planning permission or change of use. Commercial finance can come in many different shapes and sizes and it would be near enough impossible to find the exact type of finance you’re looking for, without having spoken to you and understanding your requirements. Commercial finance is not something that’s readily available as lenders will require a thorough assessment of the individual before approval. 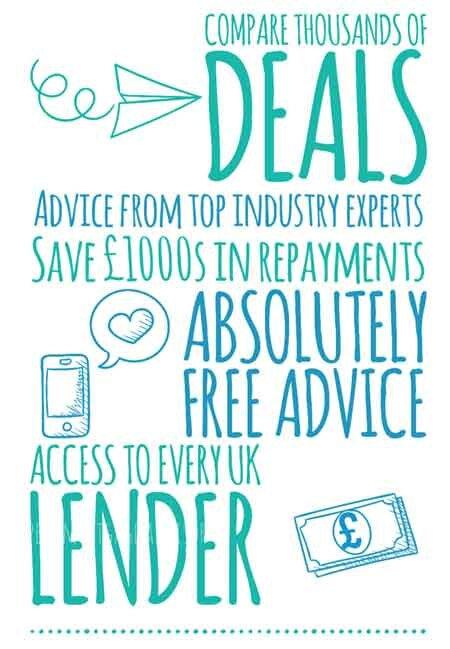 Our specialist advisors can ensure that your application is as strong as it can be and can also target the right lender for you, minimising the risk of being declined and loss of money in fees. Our advisors are available to answer any questions that you have before you get started. If you have a house with say 2 or 3 tenancies then a standard buy to let mortgage is all you’ll need. If you have a fully licensed HMO with 5 or more tenancies, then you will require a specialist HMO mortgage as a standard buy to let mortgage wouldn’t suffice. The majority of buy to let lenders don’t have HMO mortgage products, as the HMO mortgage market is smaller than the conventional buy to let market. For this reason, commercial finance can be more expensive in terms of mortgage rates and fees as products are more scarce. The right mortgage advisor can still find a great HMO mortgage deal for you and sometimes it doesn’t have to be in the form of commercial finance. If you’re an experienced landlord, then the chances of being approved a great HMO mortgage product drastically improve. As this is a more specialist type of mortgage, speak to one of our expert mortgage advisors to ensure you’re getting the most from your HMO mortgage. Bridging loans are generally used by borrowers who are purchasing a property and require the additional finance to ‘bridge’ the gap between their current finances and the amount needed to pay for the newly bought property. Bridging loans are quite common for people when buying a property but are still awaiting proceeds from the sale of their old property and therefore take a bridging loan at a high-interest rate for a short period of time. Bridging loans are also useful for developers who may have purchased a property to sell on for a profit, but require funds during the duration of the sale period, until the property has sold. Auction buyers may also use bridging loans in order to obtain fast finance, as auction purchases are usually time sensitive. The above scenarios suit bridging loans as conventional mortgages could take longer in comparison. Over the years, high street lenders have become more reluctant to approve loans with shorter terms. As a result, this has paved the way for an increase in private bridging lenders who are happy to offer this type of finance. Bridging loans often have high rates and large fees due to the type of finance it offers. Bridging loans are available from privately owned smaller companies as well as larger lenders who are FCA regulated. At expert mortgage advisor, we’d always recommend speaking to a lender who is FCA regulated, as bridging loans can be very risky. The FCA has voiced concerns that advisers who aren’t regulated, could be recommending bridging loans to clients when there are other more suitable financial options available based on their circumstances. Always do your homework before taking a bridging loan, as they can often have hefty hidden charges. FCA-regulated advisors are obliged to only recommend a bridge if it is appropriate for you and your particular circumstances. All of our expert advisors are FCA regulated and can inform you whether or not a bridging loan is viable for you.